First of all, I want to thank you for taking the time to visit my website and look through my work. I am honored to be considered as your family’s photographer. I’m married to my best friend and the love of my life, and we have two sweet, loving and very energetic young boys. 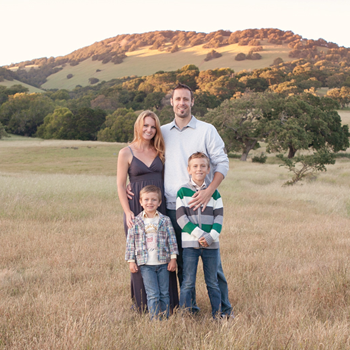 We relocated from the Chicago suburbs to Petaluma, CA in the summer of 2013, and we absolutely love California! We spend as much time as possible outdoors, enjoying the beautiful scenery in every direction here in Northern California. Â When I became a mother, I realized just how important it is to have photographs not just of our little ones, but ones that truly showcase their individual personalities. That little half smile, huge grin or serious look that your little ones give you will only be here for a moment, thenÂ they grow out of this stage on on to the next. Let me capture this special time in your life, as it’s so fleeting. Please take some time to look around my blog and website, and I’m always available for any questions. Email is the best way to reach me: portraits@audreyspearphotography.com or give me a call and we can talk:Â (707) 347-9112.Â I look forward to hearing from you!